I removed the still from the comic from my blog. I have also approved all of the related comments regarding these allegations. I have received a request to just delete the interview, but I think it is important for the readers of my blogs to be able to see these comments. I don’t want to delete the interview because I would just delete the comments with it. Instead, I am linking to the information provided in the comments regarding these allegations. Matthew Christopher Nelson is the artist behind “The Grove”, a post apocalyptic science fiction comic he’s co-authored with Robert Rumery. The story: Government Riots at a level that threatens the very fundamentals of society occur. The Government is believed to engaging in activities that are less than scrupulous. When the truth is revealed, riots occur all throughout the United States, with one of the main centers occurring is the state of Florida. The rioters, it is rumored, are being funded by ecoterrorists, and as an end result, a nuclear bomb is dropped on Florida, upon American soil. The side-affects of this are too many to count. As a result of the nuclear arsenal being used, the humans that were still within the state were genetically mutated into cunning, monstrous savages. One of the main riots occurred at a genetics lab that tested on animals. In the fallout, thousands of genetically altered animals, all of which possess human cognition, escaped and found safety within the confines of the altered Okefenokee swamp, which was enlarged many times over. Born in 1970 to Carol and Richard Nelson. Originally born in New York, moved around quite a bit due to father being in the Air Force. One of the first books ever read was The Hobbit, followed by the entire Lord of the Rings trilogy, both read at age 7. Ever since then, the love of fantasy was unleashed. The youngest of 3 siblings, majored in Anthropology and Theatrical Studies, and minored in English Writing Arts. An avid artist, his preferred media are pen/ink and pencil, also sculpture and painting. Favorite artists are Salvador Dali and Albrecht Durer, and a fan of Tolkein, Brandon Mull, and R.A. Salvatore. Q. You say one of the first books you ever read was The Hobbit… I remember an animated version of the story from when I was a kid, and I guess you’re around my age. Do you remember it? Are you excited about the movie? A. I remember it vividly, and thought they [Rankin & Bass] did a wonderful adaptation. I recall seeing the Shire appear in the introduction, and watching the butterflies in the fields. I believe Peter Jackson actually incorporated those small-detail butterflies in the film. Am I excited about the upcoming release….OH YES!! I AM….MY…PRECIOUS….I AM INDEED!! Q. You have a couple of exciting projects you’re involved with right now. First, let me ask you about the Accidental Magical War. What inspired you to write it? A. Actually, the writings of Robert Aspirin’s Myth series has always stayed with me all these years, after having read it 20+ years ago. The series captures that deep seed within us all of a life filled with action, adventure, and a little mayhem along the way. Q. The genre for the Accidental Magical War seems to be fantasy – is that correct? Or do you feel it belongs somewhere else? A. Absolutely, it definitely would be considered Fantasy. If I could break it down even further, I’d call it Fantasy Suspense. Q. You are also working on a comic book series, “The Grove”, with Robert Rumery. I’ve seen the artwork and it’s interesting, dark and engaging. Where would you put it, genre-wise? A. Ah, the apple of my eye. I am very excited about the comic. Genre-wise, I would label is as a post-apocalyptic scifi. Q. Is there anything you would like to share about the story? A. The concept of the comic is one I think that resonates in us all- the need of survival. It is a post-apocalyptic scifi thriller where humanity is not the hero, but rather, they are the villain. I think it is a nice twist on things. Q. Do you believe that studying theater and anthropology have in anyway affected your development as a writer? A. Most definitely. Anthropology is the study of humanity and their culture. If you break it down, fundamentally, is is the study of culture. If you apply the process generically when writing about make-believe people, you can apply real anthropological devices and turn it into something that sounds as real as you or me. As for my theatrical training, it has taught me one key element that I use in writing; Improvisation. As odd as it may sound, I “hear the characters speak” in my head, and then I write out the dialogue, and what it becomes in the end, is a chapter, and so on. Q. How does working with another writer differ from writing alone? A. Well, if anything, working with another writer opens up the door for seeing something differently then you normally would. All in all, I am all for it. Q. What are the things you prefer about the comic book form over the literary form, and vice versa? A. Well, quite simply, the comic form allows me to incorporate more of my artwork, and by marrying the two together, I create something I am proud of. Q. Finally, is there anything you would like our readers to know that we haven’t already covered? A. Yes, there is no such thing as a boring story, because sometime in our lives, we are going to need a story that we may not have been ready for 5 years prior. ~ by Sumiko Saulson on December 13, 2012. You should pull this interview since this man is not an artist but a thief. 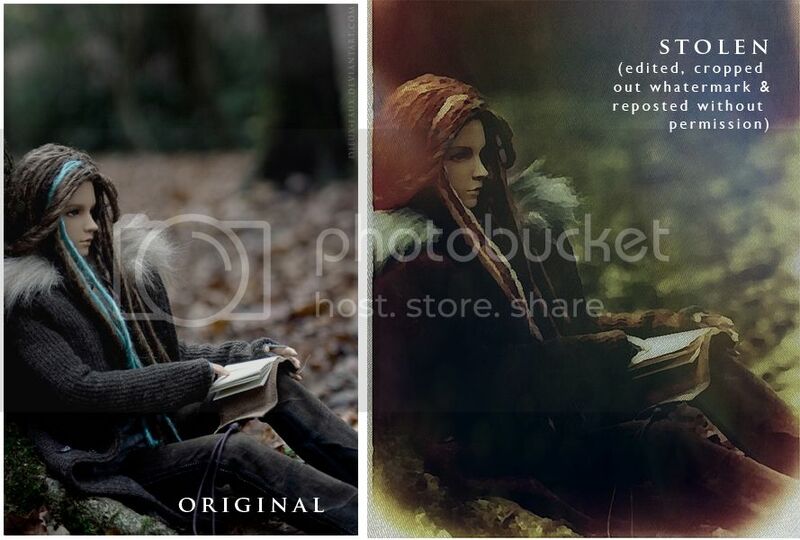 He takes other people’s pictures/photos/drawings, crops them and slaps a few photoshop filters on them and then has the gall to claim them as his. My work is copyrighted, and even if it weren’t, and I never allowed this man to uglyfy it. Can you give me some more information about this or do you have any evidence to support your allegations? Thanks for your comment. These particular dolls at that link are my work, I’ve spent a great deal of money, time and years of effort painting the dolls themselves and photographing them. I did not give him permission to alter or use them in any way. But mine are just a small example, he’s taken works from plenty of other artists, companies and franchises and defends the filtered results as his own. Thank you for your time. It’s a shame to have to bring this to your attention. That’s a link to a tumblr post that has side by side comparison of his “art work” and the originals that were stolen. This is a link to a post about him being sent around tumblr right now, and to a cached kickstarter project he shut down himself previously (presumably because he was caught stealing, because the majority of the works featured in the cache are stolen photographs he places through filters). His deviantart, linked above by Amita also shows all of the photos, AND artwork that he has stolen, filtered, and reposted as his own. For example http://artistmattnelson.deviantart.com/art/Fyre-and-Ice-426143470 was stolen from http://artgerm.deviantart.com/art/Korra-Aura-313531425 and http://artistmattnelson.deviantart.com/art/Rise-and-Shine-428956951 was stolen from http://polymer-people.deviantart.com/art/dolls-by-Nadiia-94781391 . I think this is pretty compelling… I could take the interview down, but it might be better in terms of getting the word out if I get one of you to write a guest blog discussing this issue and the information you have compiled, if that’s okay with you .. what do you think? Also – are there any images I should be removing? I deleted the image because I was told that it was stolen so I did not want it on my site. I have replaced it with Amita’s link comparing side by side artwork. No what I meant was HE has deleted my images and others from his various sites. Sorry for any confusion. I think it’s good to leave this page up so more people know what this THIEF has been doing! Thank you. I intend to leave it up and I posted a new text-only blog that includes all the links. Thank you for bringing the issue to my attention. Your concerns seem valid and I think it that letting them be known is the right thing to do. this is a fraud interview! this man is a thief of peoples art and calls it his own!! I can tell you because he has been using mine also along with man other doll artist I know!! I am so angry I will see him in court and if u don’t pull this interview off I will also see u in court too! Or you should at least make a new one showing what a crook he is! I have been leaving the interview up so people can read your comments, but if you want me to delete the interview and in doing so delete every single comment and link attached to it, that’s absolutely fine with me. I’m also a doll artist and a good friend of the girls who wrote the above comments. I think it is a good idea to leave the interview up the way it is now, with your statement at the start about his copyright infringement so more people are aware what this man did. I posted a new blog to let everyone know about the allegations. Thank you. As one of the photographer’s who’s work he’s been helping himself too and reposting after editing it I can only appologise for the fact you’re getting abuse because of his actions. You interviewed him in good faith and you’re highlighting the issue in your most recent post, you’ve done nothing wrong and while I can’t control the actions of others I do appologise profusely as the last thing those of us he’s stolen from want is for anyone to be harassed over it all. Many of us who are effected are dealing with the copyright infringement by filing DMCA take down requests where appropriate and facebook and kickstarter are responding in kind, it’s being dealt with so again, I really am sorry that people are taking things too far because it’s really not a helpful way of dealing with the situation. I am glad that you and people like you let me know about the situation. I did that interview a year ago, and had no idea about this controversy until two days ago when the comments started to appear. 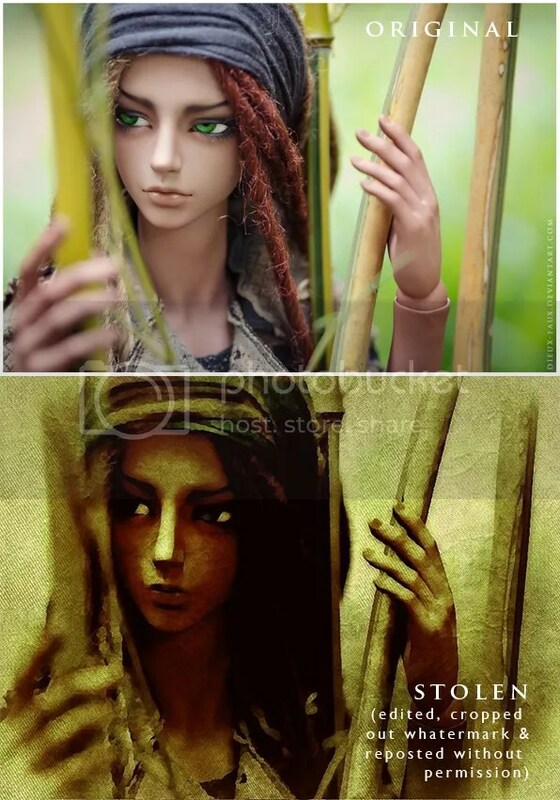 To be honest it only really came to light a few days ago for most of us too so people in the BJD community are digging up as much as they can about him in case he’s been posting our work in other places which I imagine his how they came across your interview with him. Thanks. I am going to add these links to the response-article I posted about this issue. I also agree about leaving up this interview with your current addendum and links at the top. The interview shows how you were deceived by this person. You are innocent of any wrong-doing. 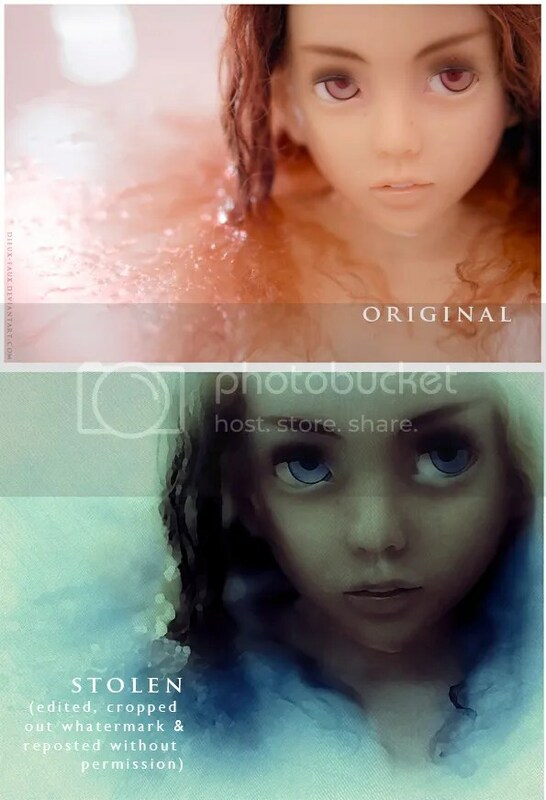 You did not know this person had blatantly stolen photos and paintings from the internet, added a few filters and then claimed he digitally painted them. You thought he was a talented artist, not an art thief. Yes, I am a doll artist and photographer, though not as good as my doll friends whose work was stolen. Thank you for all you do to keep the public informed about this issue. Someone discovered prior art from the ALREADY PUBLISHED comic, The Grove #1. It’s apparently a screenshot from the game Infamous. The original is a copyrighted digital painting by Tony Hayes. MCN has already profited off of the work of others. It’s very depressing. I agree he did steel peoples pictures and put a filter on it and says they are his artworks, i have seen it from artist friends I know he stole it is all over the net , he is done. I think keeping it up here along with the truth was a very good idea.